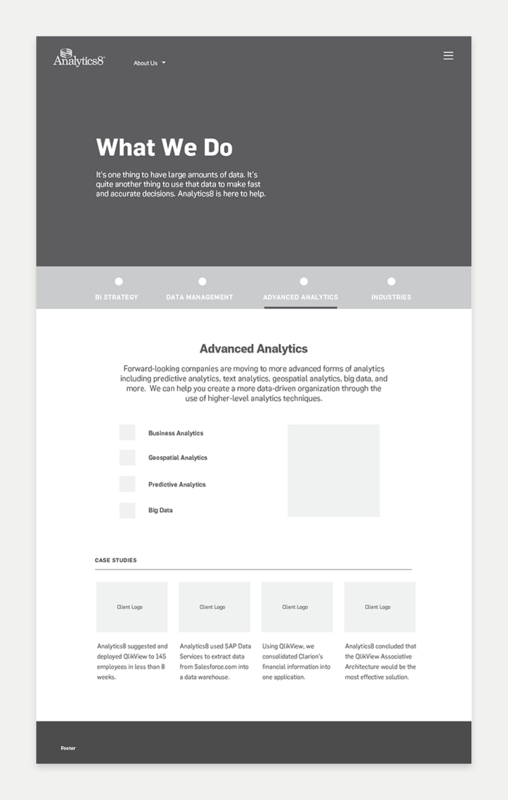 Explored site structure and wireframes for a Chicago based data company. A8 needed to restructure their site in order to better feature their services, case studies, and highlight their company culture. Sections like services and technologies were given more prominence, while other sections like industries were condensed. Building sections helped pace the topics and amount of content throughout the site. Research around data and tech companies also helped guide the wireframes, including building space for things like company culture and a timeline. And of course, I drew some unused bits for a company 10th Anniversary party.